Youth Voice is a website for all young writers to write on all kinds of topic. You will definitely find something of your interest here, you can also write for us if you want. YWF: Youth Welfare Federation. Click Here to know more. Youth Voice: Voice of youth through various digital mediums like text, audios & videos. All writers of this website are advised to write "Truth" with proper facts in "News" & "Social" section, otherwise their account will be removed from author list. Want to quit smoking-drugs-alcohol addiction? We will share all event updates of Youth Welfare Federation on our website including galleries. 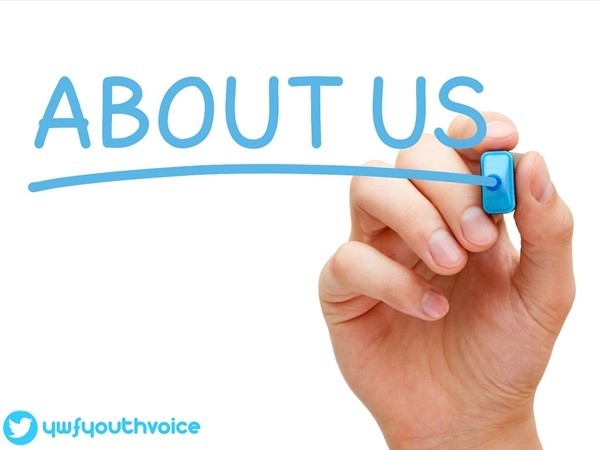 Youth Voice is not limited to just YWF, if you're doing something good for the society than don't hesitate to share it with us, we will post it on our website for sure. Youth Voice: What is Youth Voice?